If I were asked to say what Serpent of Isis: Your Journey Continues is like, I would say that it is a lot like those people, who are nice and not bothering and comfortable to be around. 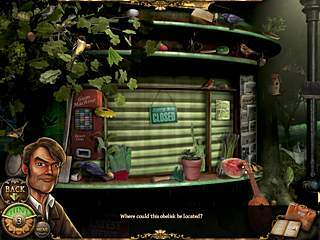 Serpent of Isis: Your Journey Continues is a soft blend of hidden object levels and adventure parts. The game doesn't have big bugging flaws to keep you from enjoying the process, and at the same time it is not one of the best games of this genre that you ever played. It is just nice game. First of all you are going to play many hidden object levels. You play as a friend of a professor that got missing. The note that was left tells you that he is in danger right now and you are to finish his business by finding the tomb of Isis before the kidnappers. Your grandfather had been working on this case too. 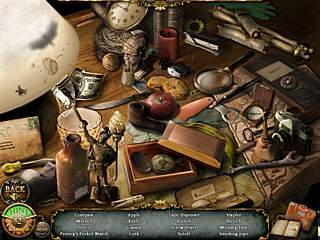 So now you are trying to put together all the clues from the professor and your grandfather to finally find this tomb. As I said before the game blends two major kinds of tasks. First of all you are going to play many hidden object levels. The scenes are cluttered with stuff that mostly belong and makes sense. Sometimes you can just randomly click on items without looking at the list and then go to the list to find those that you missed. The challenge level is quite balanced. There are still items that are hard to find. You have hint for those. You get a few hints and you can collect some along the way, but even when you run out of them, you can just wait for it to recharge. If you are not there, you are most probably wandering around examening different areas and collecting inventory. This guy that you play as is there all the time. He gives his comments as you interact with different items all the time. The game doesn't feature the voice-over to the dialogues or monologues. But the sounds and music compenasate that. The graphics are pretty attractive and detailed, which is always a good thing in the games of this genre. The game may not be the best game ever, but it really is better than many other games and it is definitely worth the attention. We don't have rights bcsuaee we are human commodities , our ill health is the biggest business in USA next to the judicial system . When we are sick people are cashing in and mainly our government wealth is necessary to rule the world !!!! As long as we are cash cows we are in danger . This is Serpent of Isis: Your Journey Continues review. Download this game here.